A holiday rental that combines the pleasure of camping and that of a luxury hotel, can you believe it? 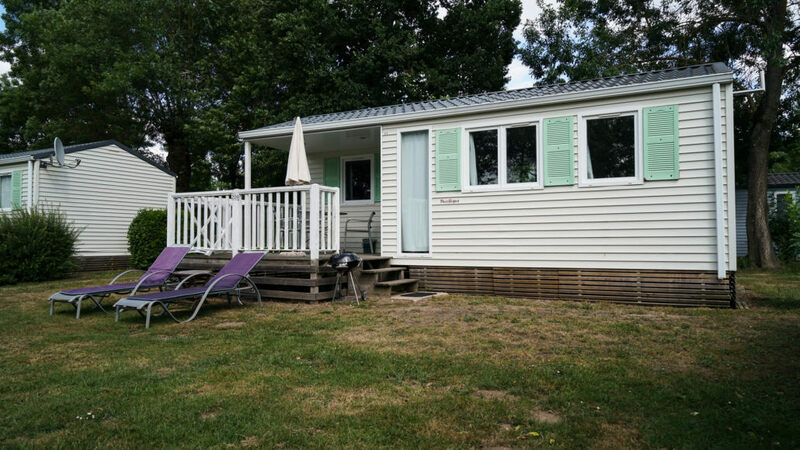 Domaine de la Brèche takes up the challenge by offering you one of the most beautiful mobile-home rentals in Pays de la Loire. 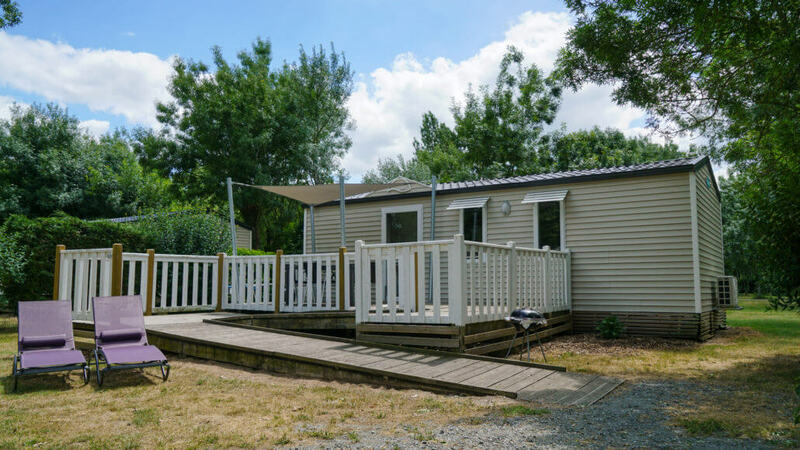 From the Standard 2 person mobile home to the Comfort 3 bedrooms and 2 bathrooms mobile home which can accommodate 6 people, we offer comfortable and fully equipped turnkey solutions that will make your stay in the Loire Valley unforgettable. All our premium mobile homes and luxurious residencies include a kitchen, a living room, a bedroom (pillows, sheets and blankets provided), a bathroom, toilets. The most modern include a modern kitchen (dishwasher, ceramic hob). After crisscrossing the streets of Saumur and exploring the main attractions of Maine-et-Loire, having shined at mini-golf or in the water slides, you can relax on your terrace, on our sunbed. Good to know : Our LIFE mobile home LIFE is accessible and adapted for people with disabilities. 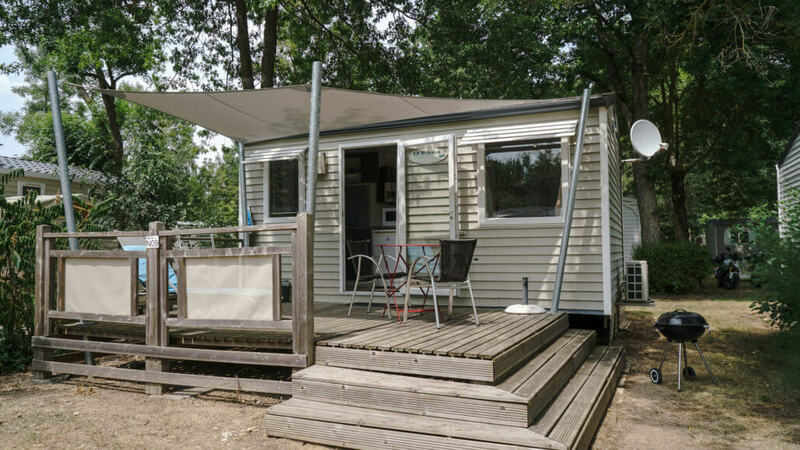 This small house will win you over for your holidays as a couple with a feeling of cocooning with all the necessary comfort. 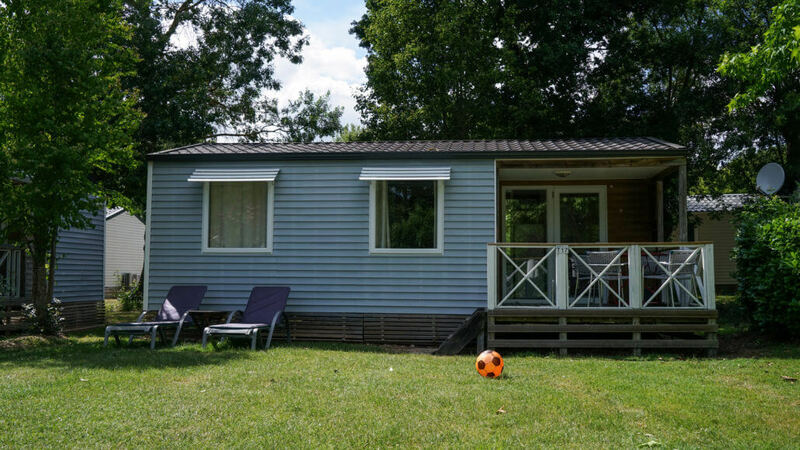 Pleasant and comfortable, this mobile home is ideal for a family of 4 or with friends. Very functional, it has an integrated covered terrace with garden furniture. 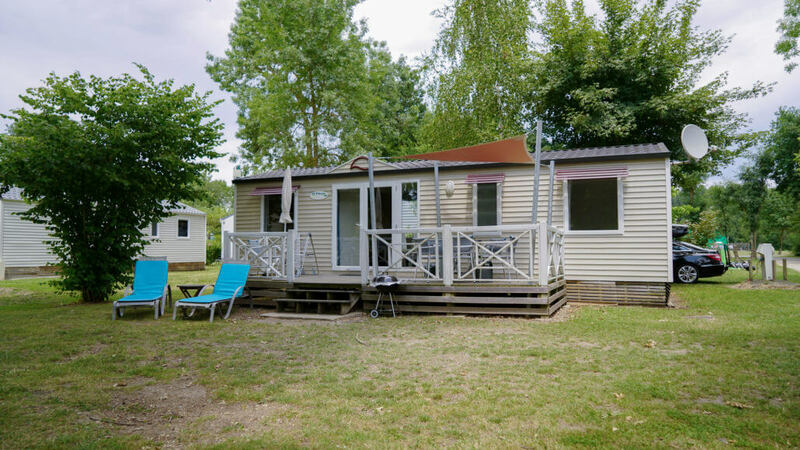 Built in 2017, our Loft mobile home with 2 bedrooms and 2 bathrooms welcomes you for your family holidays at the 5 star Domaine de la Brèche campsite. Test your culinary skills with this 2-bedroom mobile home equipped with a gas griddle on the covered terrace. This residence is specially adapted and equipped for people with reduced mobility or who are visually impaired. 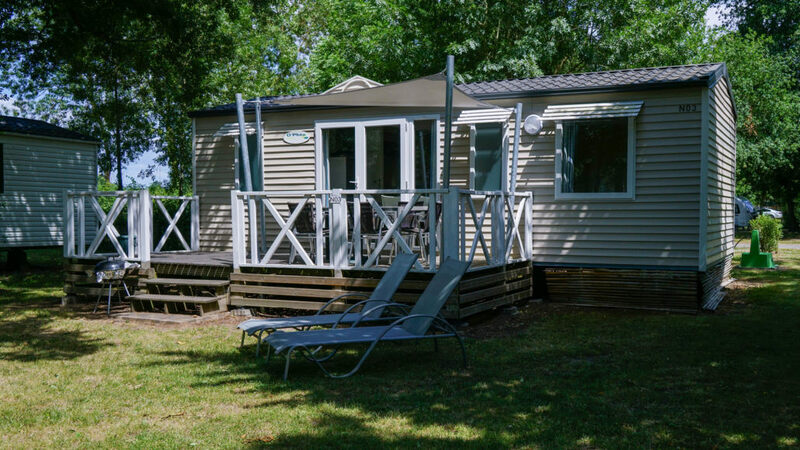 Choose our 3 bedroom and 2 bathroom Loft mobile home for your family holidays in the Saumur region. Are you a big family or a group of friends? 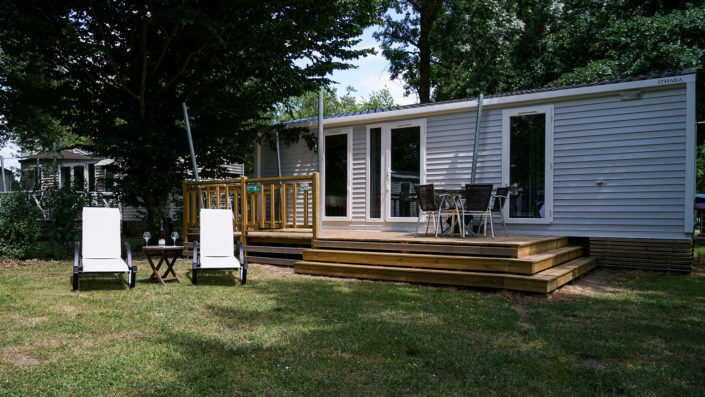 Come stay in our 3-bedroom Valley mobile homes.